Samsung is investing well in the mid-range lineup, equipping them with all the premium features. Most new features come first in the flagships, but this time Samsung is planning to start taking a different approach. Head of Samsung’s mobile division, DJ Koh, said that the company plans to change its smartphones strategy and is now focused on differentiating mid-range Samsung phones ahead of flagship phones. Latest Reports from Taiwan suggest that Samsung is planning to add Ultrasonic In-Display Fingerprint scanners to its upcoming mid-range Samsung Phones in 2019. The main reason why the company is adding such premium features to its mid-range Samsung devices is to win the competition from Chinese manufacturers. This is a very big step by the company as all the previously launched mid-rangers feature slow and less precise optical readers. So, it would be a great change if the company succeeded in adding high-end scanners to the budget-friendly phones. Qualcomm and MediaTek are leading the way at the moment when it comes to in-display implementations. According to the industry sources, we have come to know that the company has already placed orders for Qualcomm’s ultrasonic scanners. Furthermore, the first shipments will arrive by the end of 2018 or the beginning of 2019. After that, Samsung will be able to implement them. There had been no words by the company yet. 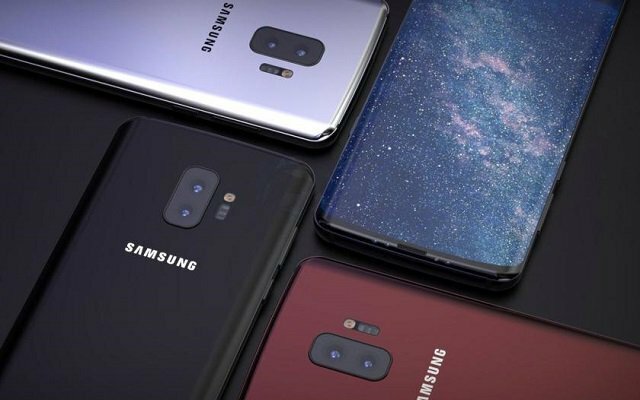 However, most probably Samsung will complete the mid-range offers together with the Galaxy S10 in MWC 2019 in February.